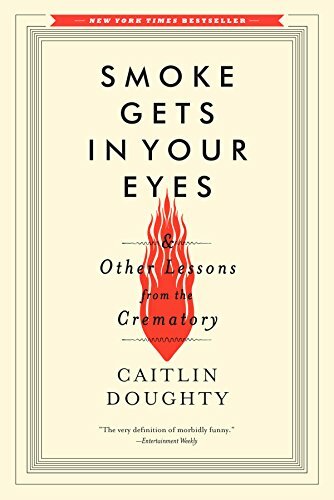 “Armed with a degree in medieval history and a flair for the macabre, Caitlin Doughty took a job at a crematory and turned morbid curiosity into her life’s work. She cared for bodies of every color, shape, and affliction, and became an intrepid explorer in the world of the dead. In this best-selling memoir, brimming with gallows humor and vivid characters, she marvels at the gruesome history of undertaking and relates her unique coming-of-age story with bold curiosity and mordant wit. By turns hilarious, dark, and uplifting, Smoke Gets in Your Eyes reveals how the fear of dying warps our society and “will make you reconsider how our culture treats the dead” (San Francisco Chronicle).